So I booked my bed yesterday. I had to go into the hospital and fill in millions of forms and answer all these questions about my medical history and all that.Then went up to the maternity ward to book our ante-natal classes. When I walked out it suddenly hit me that in at least 10 weeks- though probably 14- I'll be giving birth. I know its silly, this should have dawned on my when we bought the pram, or collected the cot or crib, or maybe when my tummy obscured the view of my feet, but it didn't. Only when the women checking me in said "you're husband can get you settled in the ward and then come down here and get your file" did I think..."Oh My Gosh I'm gonna be in a ward!!!" I'v never even stayed over night in a hospital before! So I freaked out a bit but then gave myself a bit of a talking to (she's gotta come out sometime Shaz, you can get your body back Shaz, you can have a cup of coffee or a glass of wine Shaz!!!). Then I went shopping and felt better. The more irritating thing is trying to do her nursery (ok, granted most things are irritating to me these days- like the fact that my cat insists on sleeping on my feet, or that its windy or the robot isn't green when I get to it... ha ha) but I have not been able to find Linen for her bed. I walked Pavillion and Gateway and looked all over the Bay and couldn't find what I was looking for. 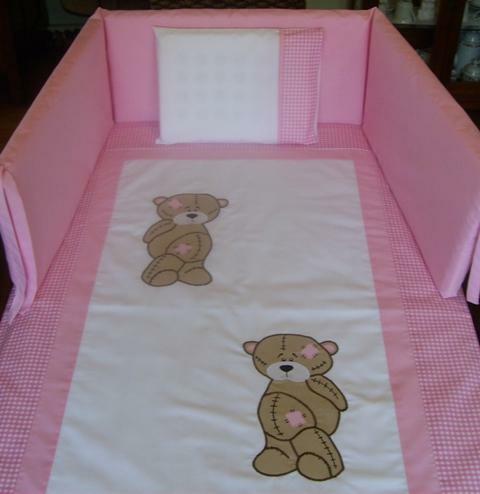 So in desperation I googled "cheap baby linen" and came across a women who sews from home and makes gorgeous stuff! So I chose what I want and its so perfect! Its exactly what I wanted, and really not expensive at all- which was the other big factor of course! So now we have the pram, linen will be ready first week in July and then all we need is the this and that baby stuff that I'll buy after my baby shower. Next scan is the 7th, I cant wait to see our little bean again!